But I hate to cook. I'm horrible at it. I make up my lack of skills in the kitchen by setting up a nice table. And that's just as important if you ask me. 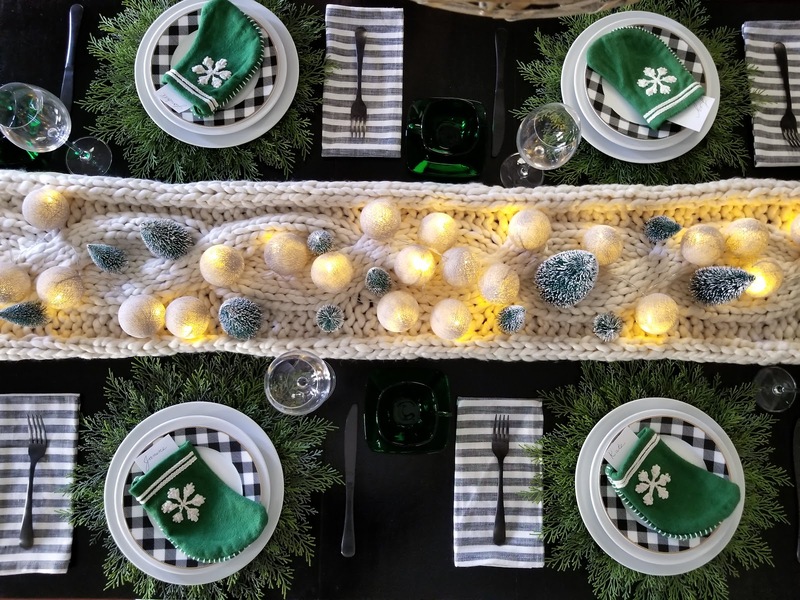 I mean, what's better than eating a delicious meal on a festive table? NOTHING. For me, food, and the act of dining, is art. I want my food to be framed by a nice plate and charger. I want to feel the texture of the napkin as I unfold it and put it on my lap. I want to relax as soft music plays in the background. I want to see smiling faces glowing under dimmed lights. I want to really BE IN THE MOMENT AND REMEMBER ALL THOSE DETAILS. A special holiday dinner is like magic to me. 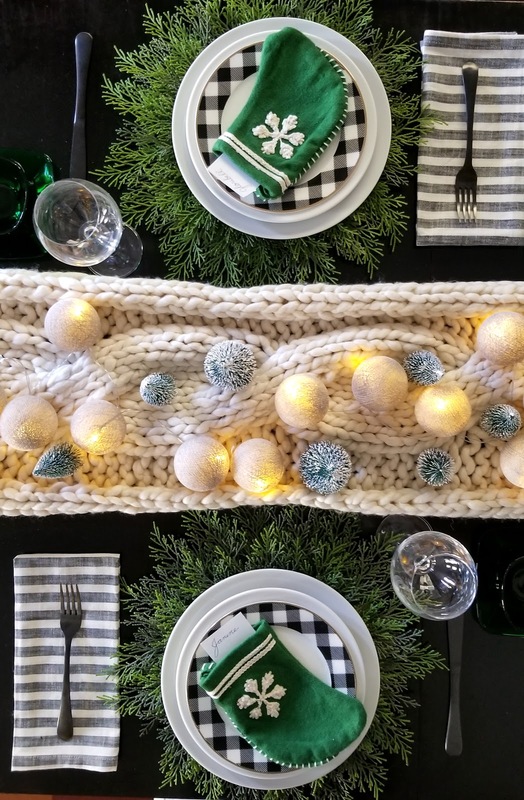 This Christmas dinner, I wanted a cozy vibe which meant lots of soft textures that one might not find in a tablescape and when I came across this amazing knit runner, I knew that it would be perfect! 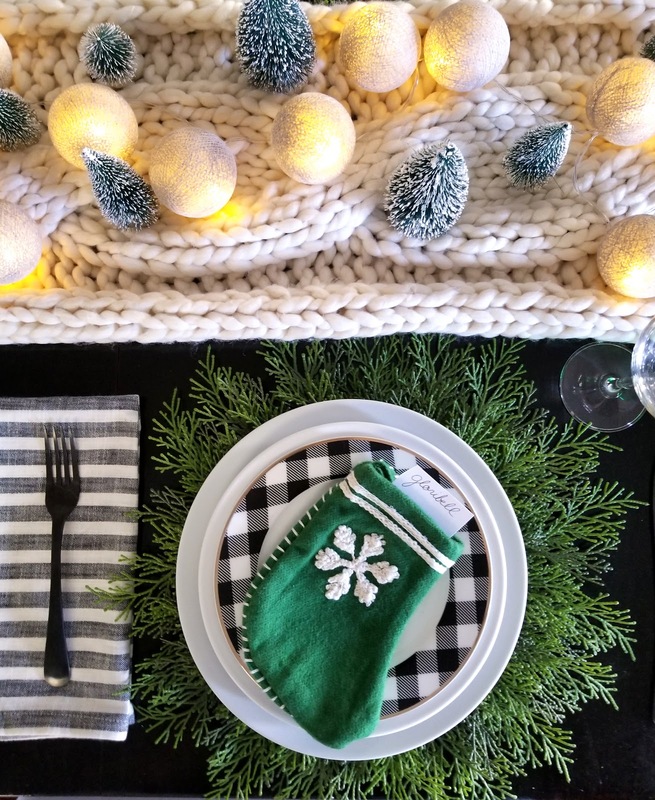 To add some holiday cheer to the center of the table I used little trees and a gorgeous string of lights from Cotton Ball Lights! They are absolutely beautiful! The lights are encased in cotton balls that resemble balls of yarn. The soft glow the cotton balls emit is just beautiful. Please check them out, they have tons of beautiful colors to choose from. I also really love the felt stockings. I used them as place card holders, but initially I thought of using them as cutlery holders. What do you like better? The little green stockings are from Target in case you're interested. Not available online, but you can find them in-store for 3 bucks. 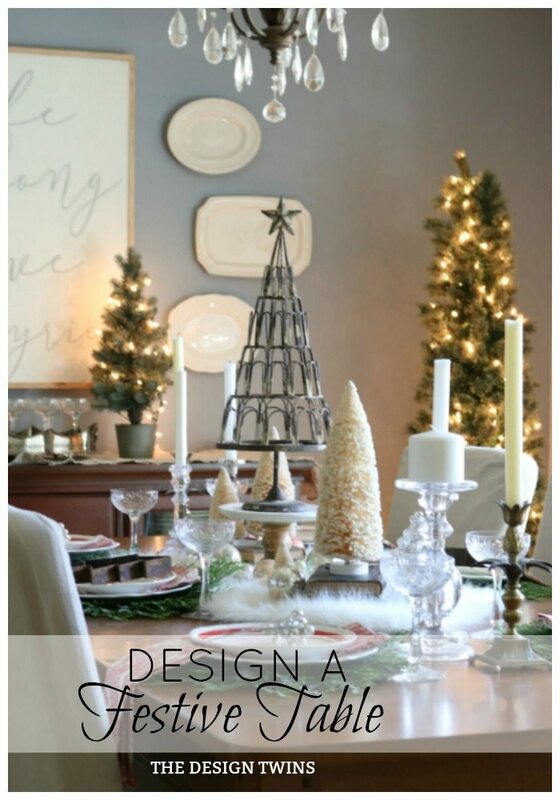 If you're into tablescapes and want to see more of my ideas then click HERE. I hope you have an amazing holiday season with family and friends. Remember to live in the moment and make them special! 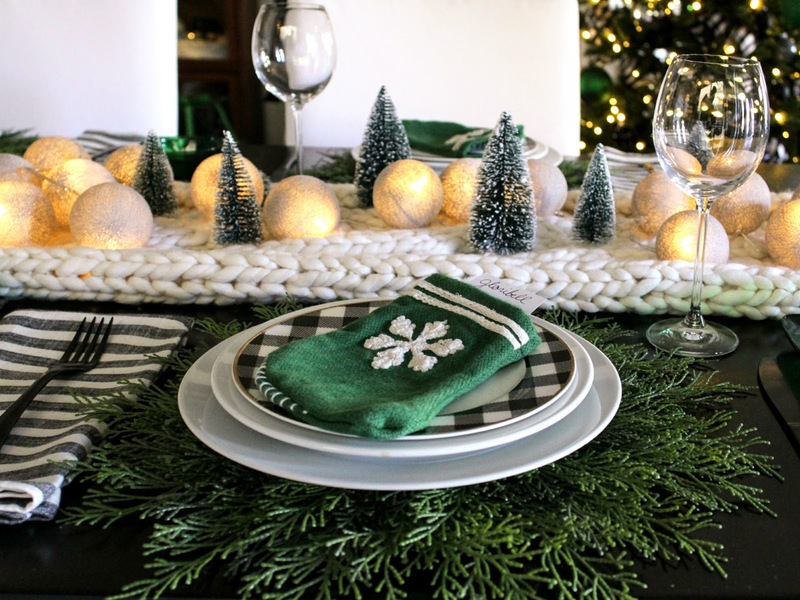 I really love this tablescape😍😍😍 very cozy indeed! Must share! I just discovered your blog and I can't get enough! Your fabulous taste and engaging writing style make for a daily must-read. Keep those posts coming.